Established in 2016 Darlow Hemphill was set up as a residential developer, acquiring land and development sites, obtaining planning consents then building and renovating high quality homes in places people aspire to live. They are a rapidly growing company with now over 100 properties in build or planning stages. Ricky Darlow is the co-founder and Managing Director of Darlow Hemphill, his business career is a testament to his incredible drive and desire for growth. He started investing in property in London when he was 23 and became an equity millionaire at just 34 years old. Following achieving financial independence through investing in property and quitting his job as a Construction Manager, he set up Darlow Hemphill Ltd with his business partner James Hemphill. Ricky has a great creative vision and is rapidly growing Darlow Hemphill, leading them to success with his team, investors and equity partners. He has successfully raised many millions of pounds for use in property development projects including major scale new build developments and converting commercial buildings to residential. James, one of the co-founders of Darlow Hemphill, has a core responsibility for land acquisition and negotiation. Originally from a military background, his tenacity and adaptability followed him into Construction Management and Consultancy where he worked with major construction companies on projects up to £1.2billion. Following this, he has built an exceptional knowledge and understanding of various property markets and businesses. James is a key communicator and his ability to lead by example provides he professional presence required for Darlow Hemphill’s vision. His skill sets are vital for analysing the viability of projects, securing investments and developing joint venture relations. 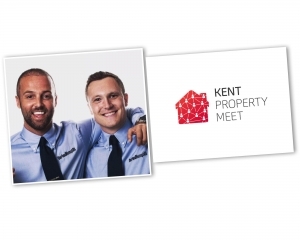 An event to not be missed along with our Mortgage Expert Peter Vandervennin, Tenant/RICS Surveyor Graham Kinnear and Property Tech Guy Matt Elder. Click to book your ticket today, see you on Wednesday evening! 8 month annual passes now available to purchase which are the best value price for the meetings. Your Net-Work is Your Net-Worth.